The warmth and tactile nature of the massive bleached walnut console is echoed throughout the studio, here in the equipment stand and various trim. 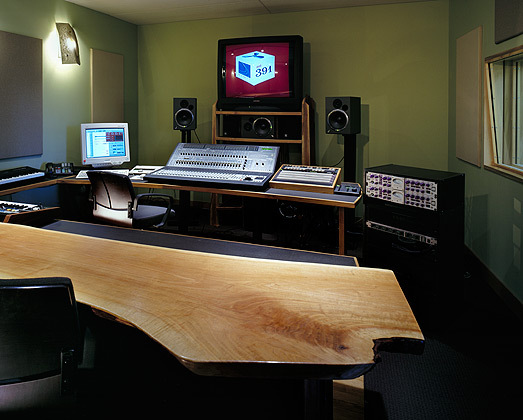 Studio finishes serve as counterpoints to the plethora of high-tech equipment. Walls are intentionally offset for acoustic purposes.